The First Tree is a fox game inspired by his own experiences with his family and his Father’s death. CZ Note: The interesting thing about this talk was that David worked alone and was very scrappy. He was not afraid to use pre-made purchased assets. He was not afraid to make it a short game. He also just put it out quickly rather than churn on it forever. He also built his top-of-the funnel marketing up by hundreds of small posts to social media / reddit / imgur. On reddit he was posting attractive gifs and millions of views of them. He consistently posted over 18 months every day. This influenced the launch for the first tree. How he got it done considering he only worked part time and had a family. Would work 10 hours a week on his games. Compromised vision – He didnt try to get everything in for his first game. The game is short. Really short. 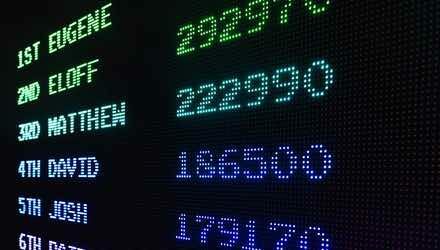 Recognizable stock assets – Nobody noticed. Only 10-15% recognized the art and music. Watch out for stock music, that can get flagged by streamers. So watch out. His code base was messy. Finished his game which means it is basically presentable. Make Gif, Post Gif, Rinse, prepeat for 12 months. He got a 1/3 of his twitter followers by using #madewithunity and having them retweeting him. Do GIFS instead of stills because they are viewed and shared 10 times more than still images. IMGUR can be hit or miss. He posted 44 times to Imgur and it only sometimes went viral. A huge bunny gif got retweeted by David Bowes son. Email list + wishlist + social media blltz = new and trending tab – This pleases gods. 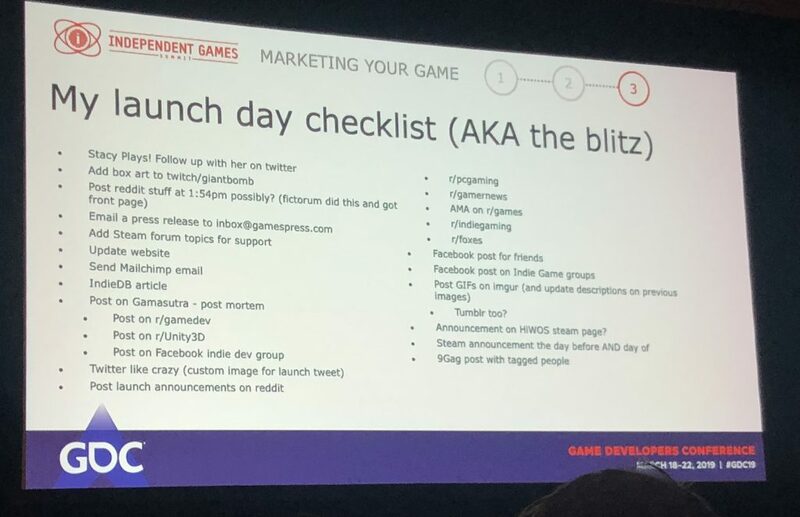 For his store traffic on launch day, 88% came from Steam traffic. Because they were on the new and trending page. Only 10% of your submissions can be about your project. Have to submit things – So post 1 time of day of things he linked. Reddit posts never do well if linked to the store page. Instead, link to the Gif. Instead all you have to do is link from the Imgur link. His mailing list helped his game the most at first. 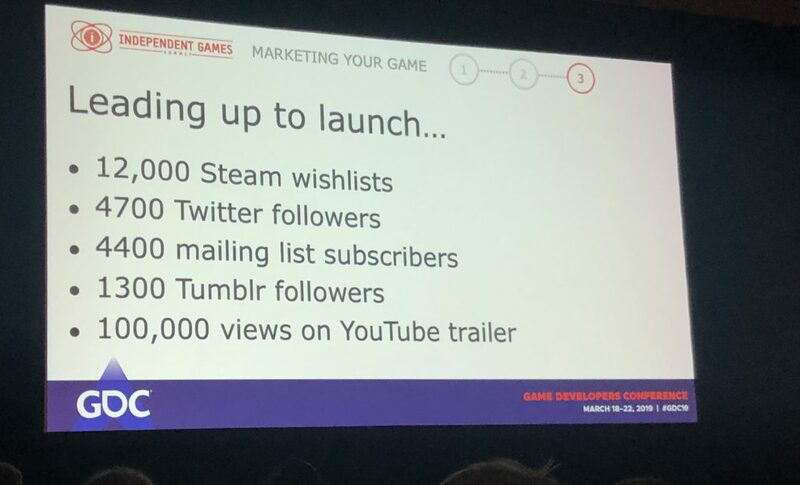 In the first hour his email list supplied most of his traffic to the steam page. This helped him on steam before going viral on reddit. Post Game launch. He quit his job and went full time. However, now that he is full time he does not feel more productive than he was when he was working just 10 hours a week. For the consoles it is more people driven where as Steam is more algorithm based. Like Nintendo can give you featuring on their official youtube channel. And Steam did drive the possibility for Switch.